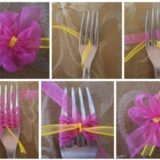 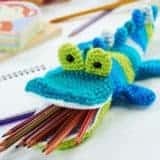 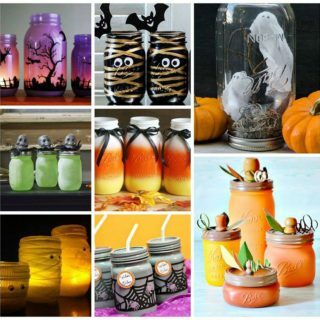 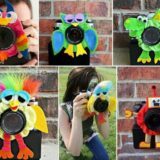 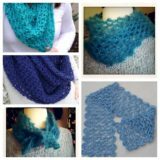 VIEW IN GALLERY VIEW IN GALLERY VIEW IN GALLERY VIEW IN GALLERY VIEW IN GALLERY VIEW IN GALLERY Looking for a way to add some fabulous color to your home this Hallowen? 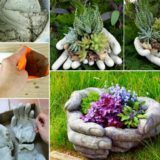 But don’t want to spend a lot of money? 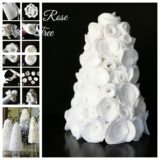 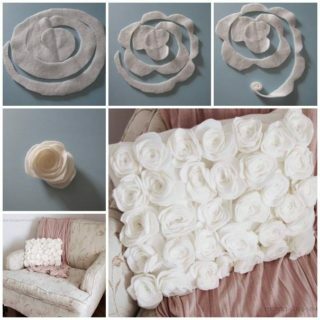 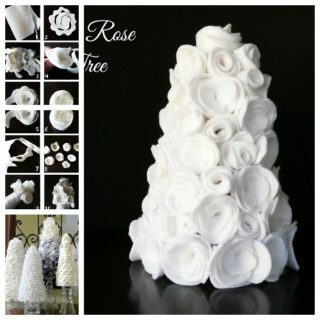 Don’t miss our felt rose wreath, which is adorned with a garden of beautiful handmade felt roses! 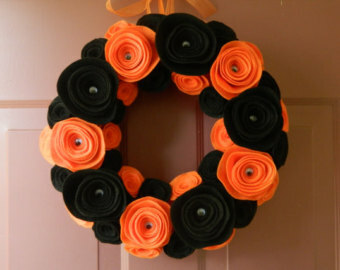 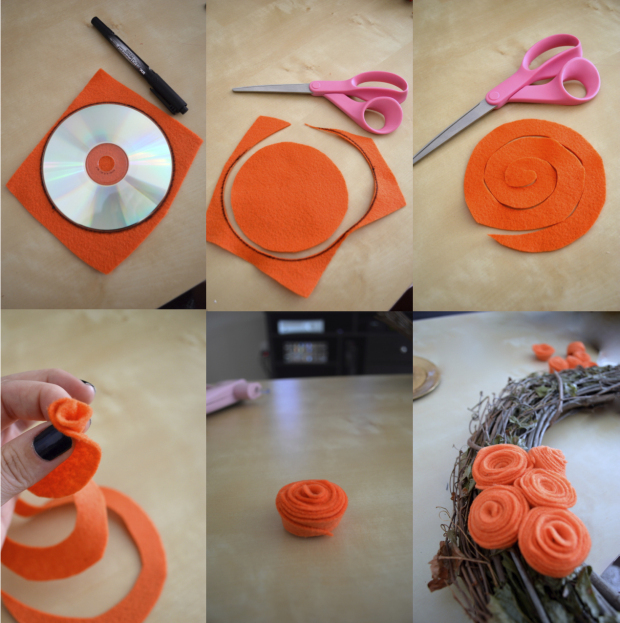 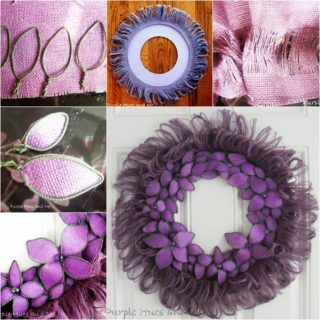 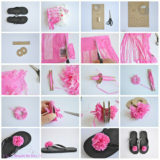 This felt flower wreath is easy to make, just trace a circle onto your felt using a sharpie and a cd, then cut it out. 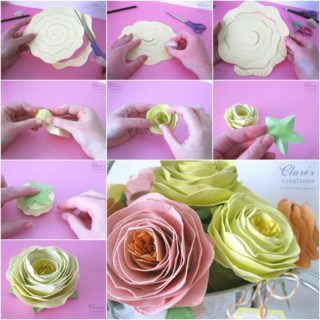 Starting from the outside working in, cut out a spiral as wide or thin as you want…then alternate rolling half of the flowers from the inside out, and half from the outside in and then glued the ends to secure the flower with hot glue. 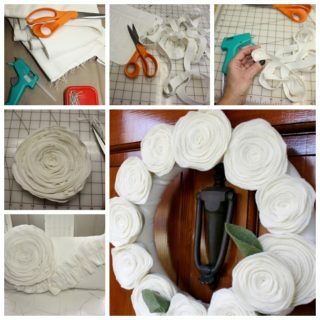 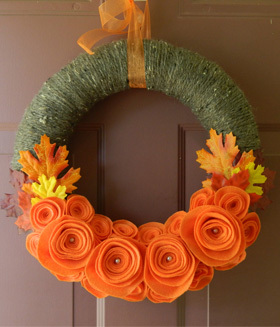 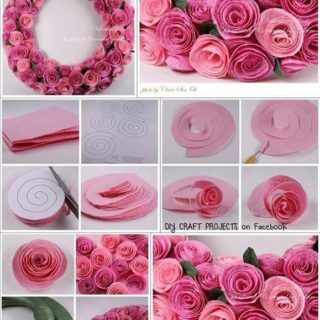 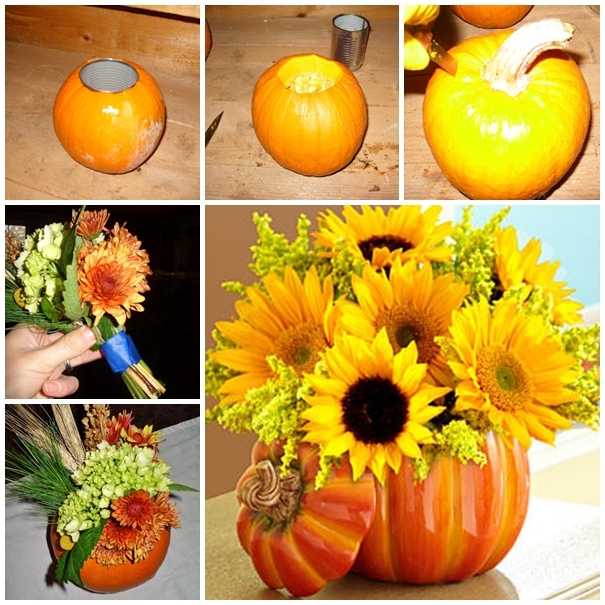 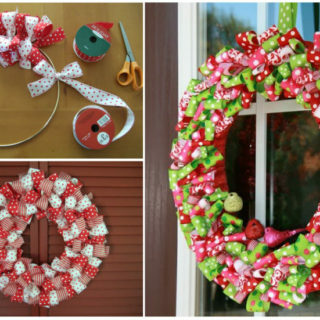 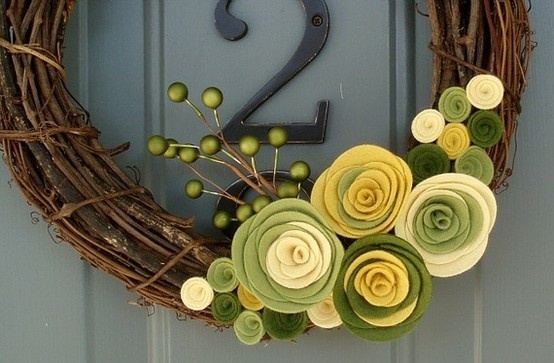 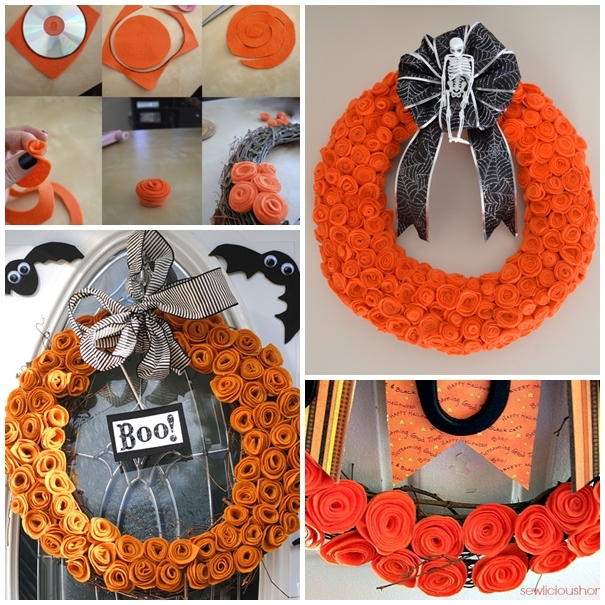 Once you have a bunch of flowers rolled you can start gluing them to the wreath form. 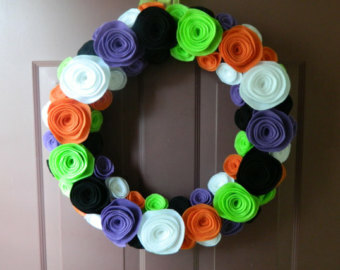 Continue until the entire front and sides of the wreath are covered.